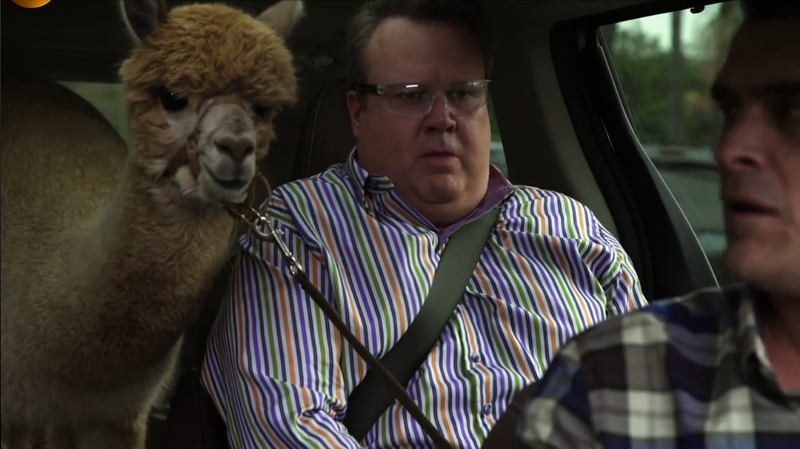 All Phil Dunphy has ever wanted is a pet alpaca. Phil finally was able to pick one up at a local farm for a steal! Ready to take on the world, Phil and Alpacachino form an unbreakable bond between the two of them. Is Phil ready to tell his wife of his new love? Like all TV wives, she won't approve of anything too wacky that brings joy to her man. Fun is not allowed in the Dunphy household. Of course, her disapproval does not stop Phil from bringing Alpacachino home. Or from Alpacachino from destroying the living room. Love may be strong, but it's not match for the animal instinct to ruin a good couch. So, eventually, Phil relinquishes his alpaca. Look at the first letter of each sentence.